Get away to a Lake Zurich, IL bed and breakfast and enjoy beautiful Lake County, Illinois. Lake Zurich is located in the Chicagoland Region of Illinois, approximately 37 miles from downtown Chicago. The village of Lake Zurich offers many leisure activities to visitors including shopping, wonderful restaurants, and gorgeous areas for biking, walking, and jogging. The natural beauty of this area as well as the lake itself encourages visitors to slow down and enjoy the simple things. There are many interesting things to see and do in and around this area. With Chicago nearby, all of its attractions are just a short drive away. Closer to the Lake Zurich area, visitors will want to be sure to visit the Volo Auto Museum, Historic Long Grove, Lake County Museum, Arlington Race Track, and the Lake County Forest Preserves. These are just a few of the nearby attractions. 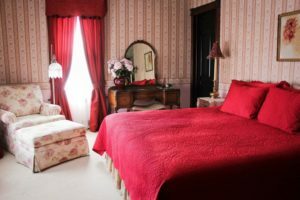 As you look for hotels in Lake Zurich, IL, let the Illinois Bed and Breakfast Association help you find the perfect place to stay.